Conjugated Linoleic Acid (CLA) for a Leaner Look and Improved Weight Loss! The battle against a slow metabolism no longer has to be lost. Conjugated Linoleic acid, or CLA, is a fat-burning supplement that helps boost metabolism, burn stubborn abdominal fat, and normalize blood sugar levels. These benefits harmoniously work together to aid weight loss. It also helps us improve blood sugar balance, thus removing a risk factor for the widespread disease Type 2 Diabetes. Aside from the internal benefits, CLA will make you look good on the outside. Get that toned, lean body look as CLA boosts muscle tissue and “teaches” the body to burn fat for energy instead of storing it. The metabolism-boosting benefits of CLA are especially important for people fighting hypothyroidism (slow thyroid function). CLA provides the immune system boost we all could use to protect against harmful toxins. Research indicates that CLA helps prevent cancer and lower cholesterol to prevent diseases related to high cholesterol levels. Studies suggest many benefits of Conjugated Linoleic Acid, or CLA, including increased metabolic rates, decreased abdominal fat and lowered insulin resistance. Such benefits can be especially helpful to Thyroid Patients. CLA is naturally found in food sources that we are often encouraged to limit, such as red meat and dairy products, due to their high saturated fat and cholesterol content. A CLA supplement, however, is a practical way to get the benefits without all the extra cholesterol and fat. In fact, CLA works against these nutrients we want to reduce. CLA is a fat-burning supplement that enhances muscle building, boosts metabolism rates, and stabilizes our blood sugar levels. These benefits will improve your fitness, increase weight loss, and even improve your blood test results. How? CLA has been shown to help control cholesterol levels. Lower your cholesterol and triglyceride levels not only to impress your doctor but also to prevent or control heart and cardiovascular diseases, such as atherosclerosis. The improved metabolism rates caused by CLA aid weight loss, obesity prevention, and offer support for thyroid conditions with slow metabolism rates, such as hypothyroidism. CLA supplementation is also beneficial for glycemic control or blood sugar control. 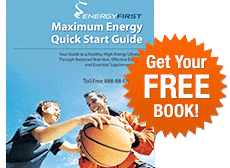 The better our bodies balance blood sugar, the better our bodies will burn fat. CLA carries antioxidant activity that boosts immune system function, lessens the effects of food allergies, and plays a role in breast cancer prevention. Recent studies show that CLA can reduce inflammation and has proven helpful in Crohn's Disease, colon, and rectal cancer; and that its use has resulted in fewer severe attacks in people with chronic asthma. Although we may work hard to eat healthy while including muscle-building in our workout program, CLA can help reshape your body. This CLA supplement can help promote the formation of lean muscle mass while simultaneously boosting our metabolism rates. This makes it easier to achieve the slim, svelte, and lean body look. Since muscle is more compact and heavier than fat, many people notice they lose inches and have looser fitting clothing before the scale shows a loss in pounds. CLA gets the job done quickly. Results are typically seen in as little as two to six weeks of initiation. CLA carries no uncomfortable or undesirable side effects such as high blood pressure or nervousness. It is important to follow a balanced, healthy diet while taking CLA supplements. Ongoing research shows that new benefits are regularly being found for Conjugated Linoleic Acid. Research studies have provided a growing body of evidence that CLA is an effective and safe supplement. Although doses as high as 7,000 mg have been proven safe, you can reap maximum benefits from this supplement at a smaller dose of just 3,400 mg daily. Research shows that a CLA supplement is more effective than CLA obtained through dietary sources. Many diet and weight loss pills or products that are out on the market are actually unsafe and dangerous to your health despite their claims to better health. Look past the label’s promises and you will find that many contain harmful stimulants that are dangerous to your health, especially your heart. 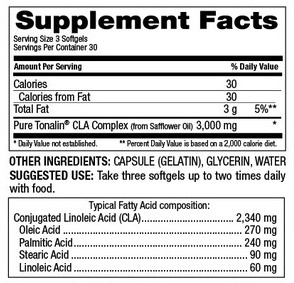 Most CLA supplements, however, are safely prepared from Safflower Oil and contain no such harmful stimulants. 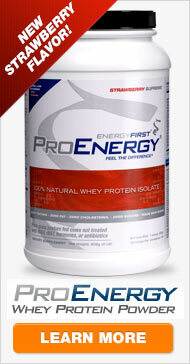 Make a wise and educated decision for your health when choosing a quality supplement.